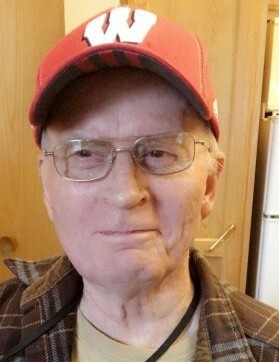 Darrell G. Chartier, age 80, Merrill, passed away Sunday, December 2nd at Bell Tower Residence. He was born July 7th, 1938 in Merrill, WI to the late George and Marcella (DeBarr) Chartier. In May of 1973, Darrell and Judith Lee were united in marriage, a union that would last over 45 years. Darrell served in the U.S. Army. He was employed at Ward Paper Mill in Merrill until they went out of business, at which time he worked at Timeline Vinyl until his retirement. Darrell enjoyed golfing, watching sports, walking and going on bike rides with his granddaughters. Darrell also enjoyed spending time with his family and friends. Survivors include his wife Judy Chartier, Merrill; daughter: Melissa (Troy) Bessert; granddaughters: Jordyn and McKenna; brother: Dennis Chartier; sisters: Sue (Cliff) Kufahl and Sharon (Richard) Schmeltzer; and many nieces and nephews. He was preceded in death by his parents, brother, James “Jim” Chartier, and his niece, Stacy Schuster. Funeral services will be held at 11 AM Thursday, December 6th at St. John Lutheran Church. Rev. Matthew Bless will officiate. Visitation will be from 9 AM until the time of service Thursday, also at the church. Burial in Merrill Memorial Park will follow a luncheon at the church. The family would like to give a special thank you to Ascension Hospice Care and the caregivers at Bell Tower Residence for taking special care of Darrell.